Three filmmakers get lost in the woods. None of them come out. Now see why. In 1994 three student filmmakers went into the woods of Burkittsville to film a documentary on theBlair Witch, they were never seen again. One year later their footage was found. That is basically how The Blair Witch Project begins. This film was released during the summer of 1999, during a time when slasher sequels had risen again and were tearing up the teenage audiences (both metaphorically and literally, in the movie sense). When first glancing at The Blair Witch Project you may be turned off by how it was made. The entire movie is shot like a documentary. And before I go on anymore, we know now that the movie was just that, a movie. There were no student filmmakers making a documentary on anything, and that’s what made this movie “scary as hell” as Rolling Stone put it in their review of the movie. 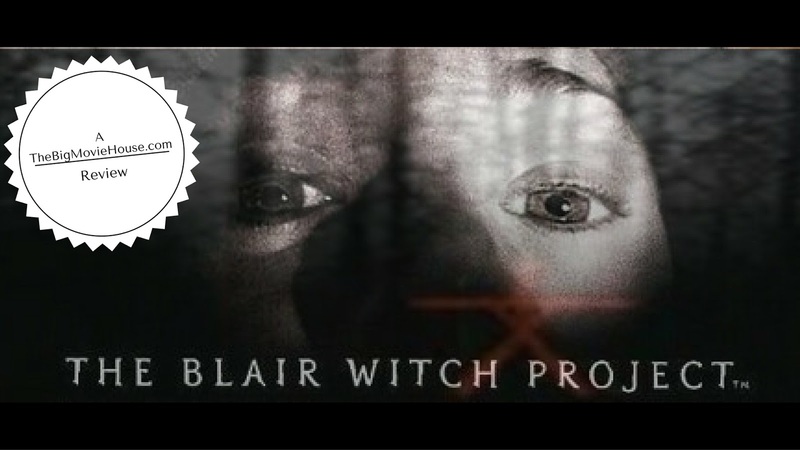 We follow these filmmakers, Heather, Mike and Josh as they venture to Burkittsville, Maryland, formerly known as Blair, as they try to understand the legend of the Blair Witch. In the beginning they interview townspeople, and about 15 minutes into the movie they make their final and apparently fatal venture into the woods. While there they uncover more of the legend, but as it moves along we soon discover that the three filmmakers are lost and have no map to get back. What follows is some of the scariest filmmaking I’ve ever seen in my life. Looking back at it now, it seems funny because there have been so many parodies of this movie, most notably in the Wayans brothers movie Scary Movie which came out only one year after this film did. You never actually see anything. That may not sound very scary, but believe me it is. I can’t remember the last movie that actually was able to scare an audience by showing nothing and just leaving it up to the imagination. Movies used to do this all the time, but that time has come and gone. So see a movie like this, it literally scares you. Now, there are people out there that call this movie stupid and boring, and I can see where they are coming from. This is not by any means a movie to watch over and over again, but it is indeed a movie that you need to see at least once. Granted this movie is not original by any means. In fact in bears a strong resemblance to Cannibal Holocaust from 1980. The main difference between the two are that in this movie you see nothing, in Cannibal Holocaust it’s the exact opposite, you see everything. In Cannibal Holocaust only the last half of the movie is the footage the filmmakers made, with lots of cutting between present time and the footage itself. 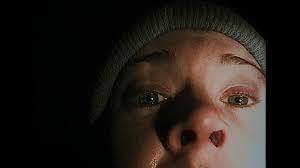 In The Blair Witch Project the entire movie is the footage. The marketing for this movie was some of the most ingenious marketing I’ve ever seen. Basically posters had the above mentioned tag of the film about the footage being found. The filmmakers even went as far as putting out missing photos of the three people and launching a website with all these facts on what happened to the three filmmakers. On the Internet Movie Database, the three actors were listed as “Missing”. This was a very big marketing technique, so well done, that people actually started to believe it. Which is probably why the movie did so well. The Blair Witch Project became the highest grossing independent horror movie since Halloween some twenty odd years before. The movie cost only $60,000 to make and made over $140 million domestically and over $245 million worldwide. This went onto spawn numerous mockumentaries and even a terrible sequel Book of Shadows: Blair Witch 2 the following year. I think the coolest of these offshoots was that of the mockumentary on the DVD of The Blair Witch Project titled Curse of the Blair Witch, which gave out all the “facts” of the Blair Witch. A very interesting little piece. We now get a 'found footage' film every other week.